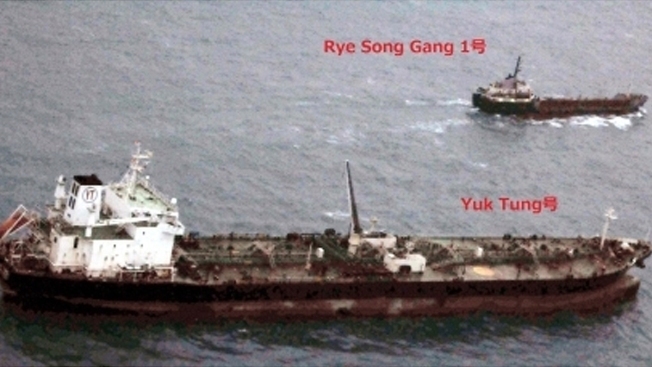 In this Jan. 20, 2017, image released by the Ministry of Foreign Affairs of Japan, surveillance aircraft spots a Dominican-flagged Yuk Tung oil tanker after it transferred fuel to the North Korean-registered Rye Song tanker in the open South China Sea. A top secret U.S. military assessment found that North Korea is still evading U.N. sanctions by transferring oil at sea, and that a coalition of U.S.-led forces deployed to disrupt the movements has failed to dent the overall number of illegal transfers, three U.S. officials familiar with the intelligence told NBC News. 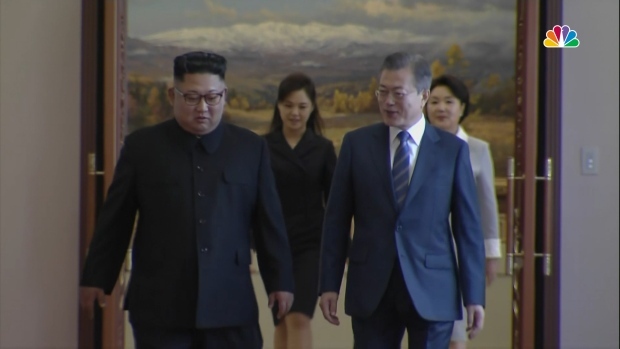 The finding underscores the Trump administration's struggle to maintain economic pressure on North Korea amid a diplomatic bid to persuade Pyongyang to abandon its nuclear and missile arsenal. The smuggled fuel provides a crucial lifeline for the regime's economy and armed forces. The U.S. Pacific Command assessment, labeled "Top Secret," found that the presence of warships and surveillance aircraft deployed by an eight-nation coalition since September has forced North Korea to adjust its tactics at sea, including transferring oil farther away from the Korean Peninsula and often in other countries' territorial waters. The White House and the State Department declined requests for comment. Click here for NBC News' full report.